The oldest Westland-built aircraft flying, Widgeon III G-AUGI, returned in the air after a 62-year break in November 2002. Views of G-AUGI. Faithfully resored, is as original as possible. The Thrush-powered Widgeon I of 1926, it became G-EBJT. Widgeon I G-EBJT was rebuilt as the Mk.II prototype with a Genet. G-EBRN, a Mk.III was a UK post-war survivor. It was flown pre-war by Allen Wheeler and was revived in 1948, flying until 1951. Mk.III G-AADE, powered by a DH Gipsy I. It was built in 1929 and was destroyed in a crash in September 1932. Period shot of G-AUGI during the first phase of its Australian flying career. 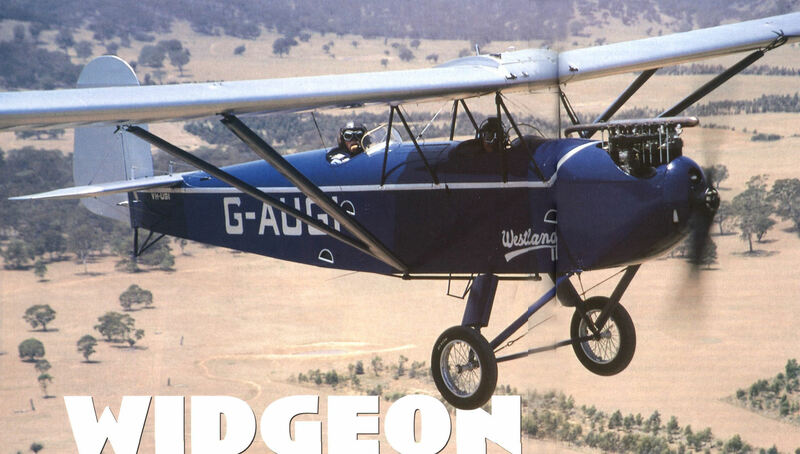 Widgeon III G-EBUB was exported to Australia in August 1928, becoming G-AUHU. It later became VH-UHU and was airworthy into the 1970s. Mk.III G-EBRO sprouted a somewhat ungainly-looking covered cabin in 1928. It was scrapped during World War Two.